When your dentist brings up the idea of tooth extraction, it can be very intimidating. However, tooth extractions do have their place in maintaining good oral health. There are many reasons why your dentist would recommend a tooth extraction and the procedure is very safe. Let’s look at tooth extraction and the various roles it plays in achieving, or maintaining, good oral hygiene. Tooth extraction is used by dentists to remove a tooth from the socket in a controlled setting. There are many reasons your dentist may choose tooth extraction as a treatment. If a tooth has been damaged or decayed, your dentist will attempt to fix it with a filling, crown or another treatment method. However, if a tooth is too damaged or decayed to be treated, tooth extraction becomes a necessary treatment. Another reason your dentist may recommend tooth extraction is if a tooth is too loose to tighten back in the socket over time. Before extraction of a loose tooth, your dentist may attempt a bone graft or bone replacement surgery in an attempt to save the tooth. Your dentist may recommend tooth extraction if you have extra teeth that are blocking other teeth from coming through the gum. In children, these are usually baby teeth that don’t come out on their own. The baby tooth may be removed to allow the permanent tooth to come through without having to work around the existing tooth. 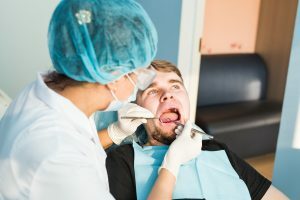 If you have a compromised immune system, or you are receiving chemotherapy treatments, a tooth that could become infected should be extracted to prevent complications. As you can see, there are many reasons why your dentist may recommend a tooth extraction as a method of treatment. Keep in mind, your dentist’s goal is to save your tooth if possible. 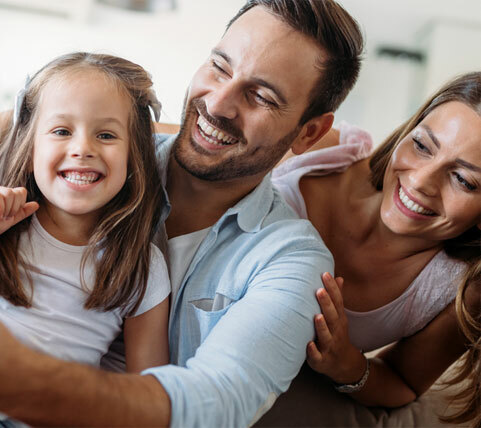 Their other goal is to ensure that you have good oral health and if allowing the tooth to remain in place threatens that, they may recommend extraction.